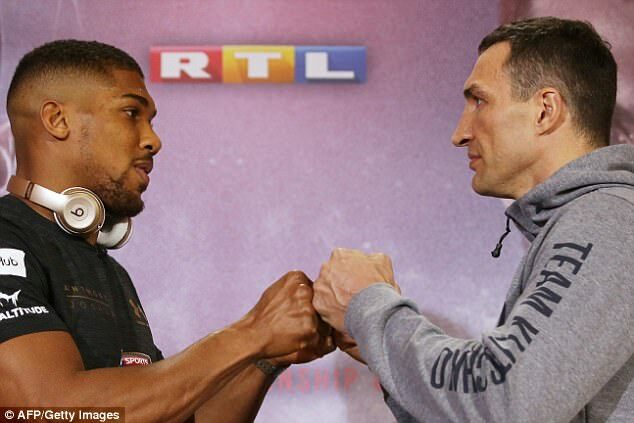 As Anthony Joshua and Wladimir Klitschko make their entrances on Saturday night, look closely and you will see a well-dressed man speaking gibberish to himself in the ring. 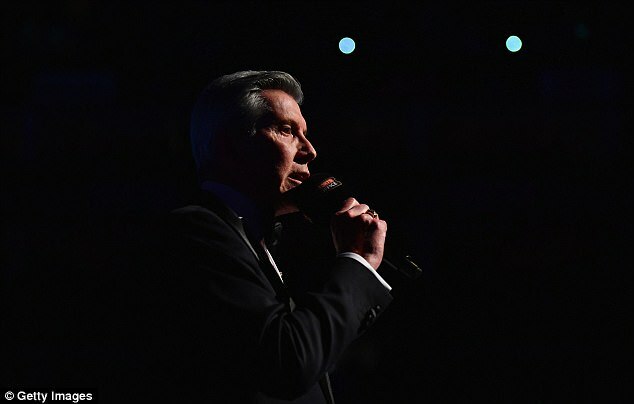 Buffer is a veteran of ‘well over a thousand fights’, and a 35-year career has seen him inducted into the Boxing Hall of Fame. But Buffer is no fighter – though he does have one hell of a hook. 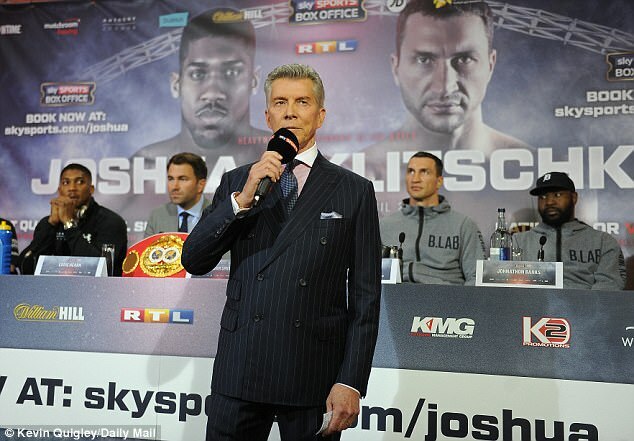 ‘When I first started they were introducing everyone,’ says Buffer, whose ‘Let’s Get Ready To Rumble’ battle cry has preceded the world’s biggest bouts since the mid-1980s and will get the crowd on their feet as Joshua takes on Klitschko on Saturday night. ‘From the people on the commission to the doctors, the referee, the judges, the board members… it was really getting out of hand and killing the crowd. I just wanted to let them know that they’re about to meet the stars of the show. ‘I tried other expressions first – ‘man your battle stations’ and ‘fasten your seatbelts’ – but nothing was happening. 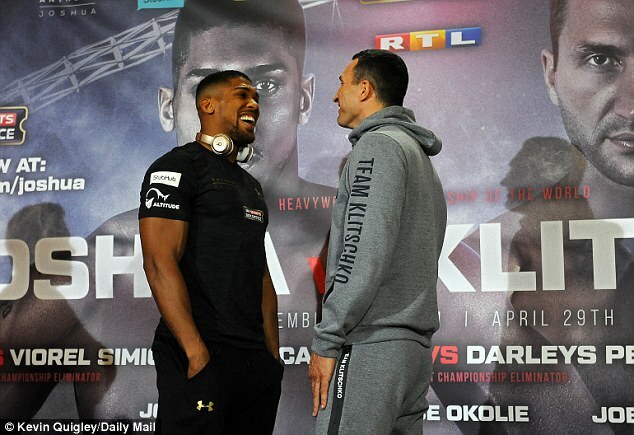 So I tweaked something Muhammad Ali would sometimes say at weigh-ins, ‘I’m ready to rumble’. Buffer, 72, was born and raised in Philadelphia and was working as a male model before his career in the ring. It was only when his eldest son, on watching a TV announcer give the scores of a split decision in the wrong order and ruin the surprise of who had won, suggested that his old man could do a much better job that Buffer embarked on a career that has pushed his estimated net worth north of $150million (around £120m). ‘I was in my early 30s and started contacting the hotels and promoters,’ Buffer explained. ‘I managed to get my foot in the door with them, but it would be a compliment to say I was dreadful when I first started! ‘I was nervous, my hands were shaking – I was a disaster. It’s one thing to practise in front of a mirror at home, but another to do it in front of 800 people or on live TV. 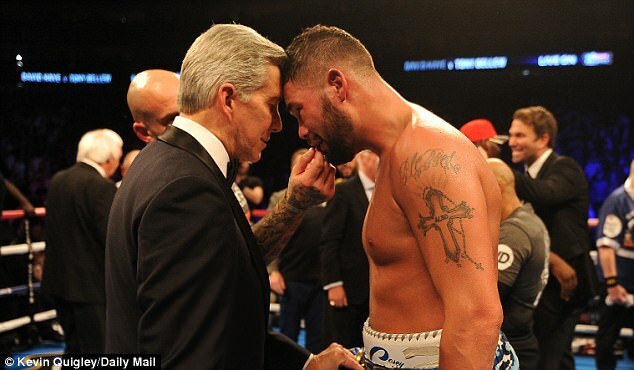 Three decades later, Buffer is still at the top of his game and little has changed in his pre-fight routine. 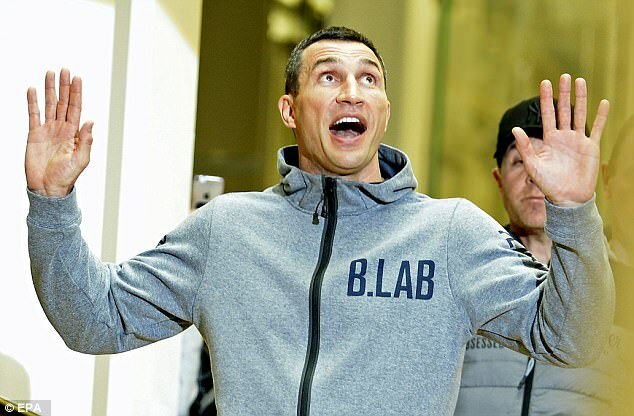 ‘After making my notes in the afternoon, I usually visit the fighters in their dressing rooms before they go out,’ Buffer says. 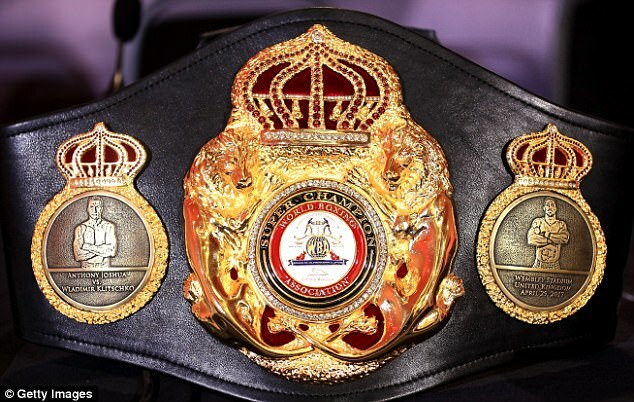 ‘I check what colour trunks they’ll be wearing and sometimes the pronunciation of their names, particularly if they’re from eastern Europe or Thailand, Vietnam, Indonesia. I’ll make sure I write those out phonetically. ‘Some guys’ names I love announcing. 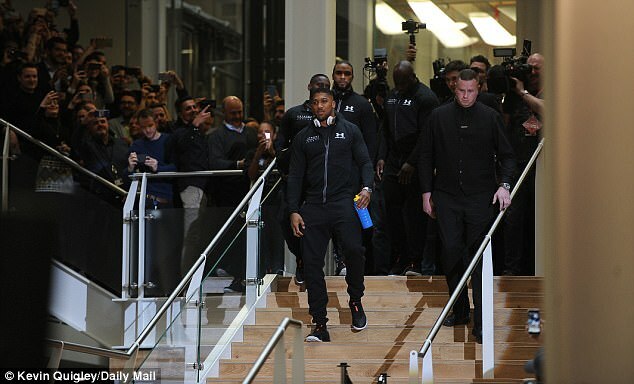 I actually gave Mike Tyson his ‘Iron Mike’ nickname…’ Buffer pauses momentarily and switches to announcer mode. ‘Tyyyyyyyy-soooooon!’ he booms, knowing that we are alone in his hotel lounge. ‘Evander ‘Real Deal’ Hoooooooooolyfield!’ That’s another fun one to say. Witnessing Buffer’s vocal gymnastics up close is very entertaining, but there is a serious side. He was diagnosed with throat cancer in 2008. ‘The plan was to operate on my tonsils and lymph nodes, but the surgeon said there was a possibility I might never talk again,’ says Buffer, who has never had his voice insured. 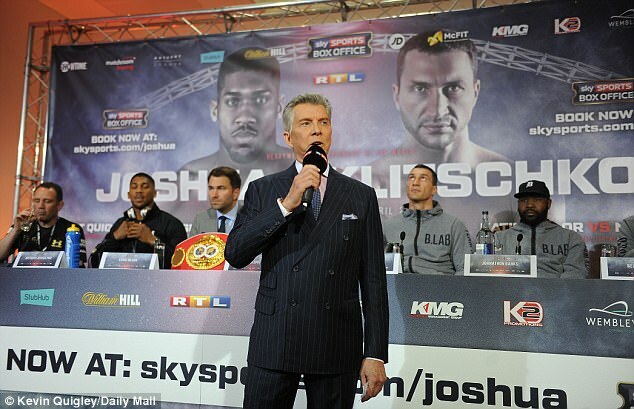 Thirty days later, Buffer was back at work, introducing Bernard Hopkins and Joe Calzaghe to a full house in Las Vegas. He’s had a couple of voice-related incidents since. ‘For Mayweather-Pacquiao (in 2015) I woke up the morning of the fight and literally had no voice,’ Buffer reveals.